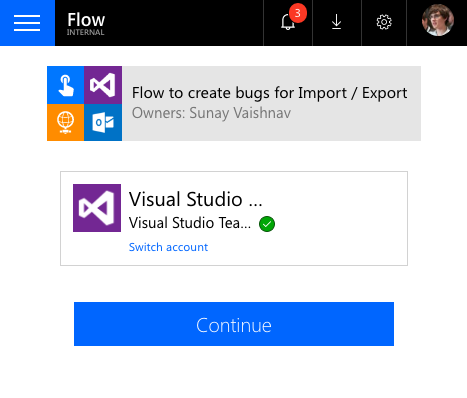 Let’s take a look at an example scenario to create a button flow – which can simplify the bug filing process for new features being released by our team. 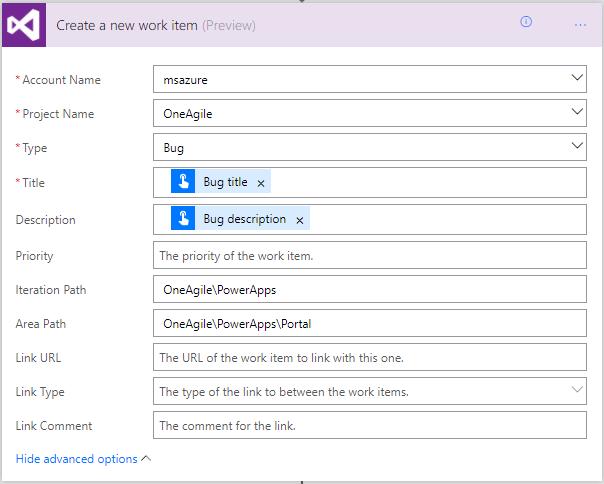 The button first needs to be configured to capture the bug title and bug description. 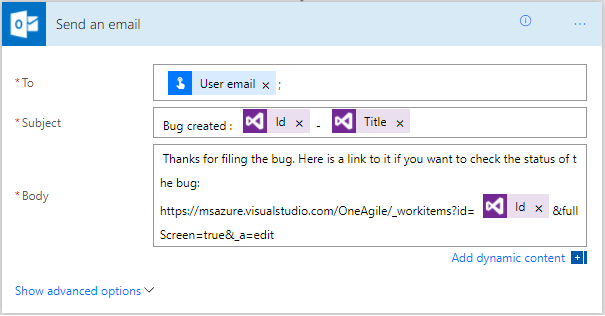 Finally, add a step to send a confirmation email to the person who filed the bug. In order for this scenario to work, we would like the person invoking the button flow to provide their connection (credentials) to VSO. It would be far from ideal for the owner for the flow to be marked as the creator of all the bugs. With the new feature, we can now configure the invoker to provide the VSO connection, to do this first save your flow and navigate to the properties page. Add the users with whom you’d like to share the flow. 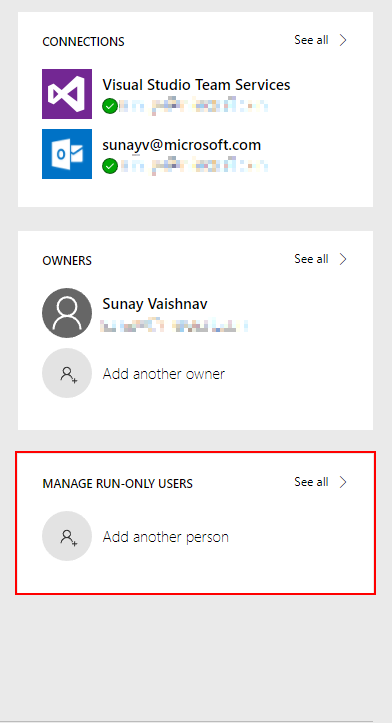 For the Office 365 Outlook connection, configure it to use your own connection, if you want the confirmation email to be sent using your own account. 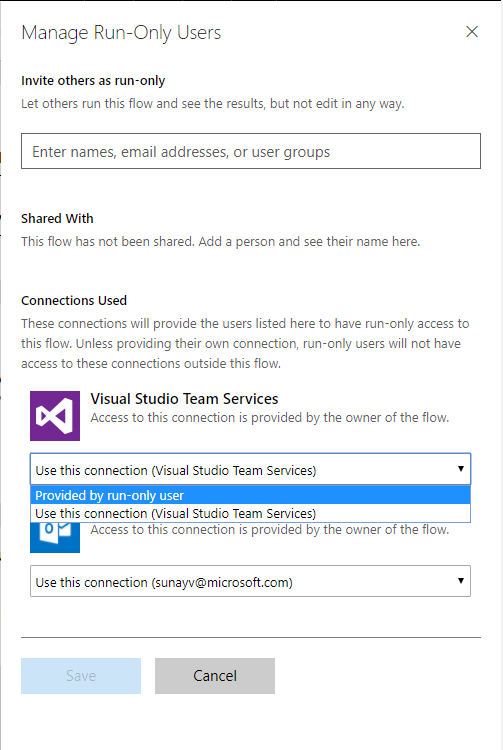 When a run-only user invokes a button flow they will be asked to provide their own Visual Studio Team Services connection, after which they can use the button to file bugs. Let us know what scenarios this feature would help you enable, we are always excited to hear from our customers and their success stories using Microsoft Flow.